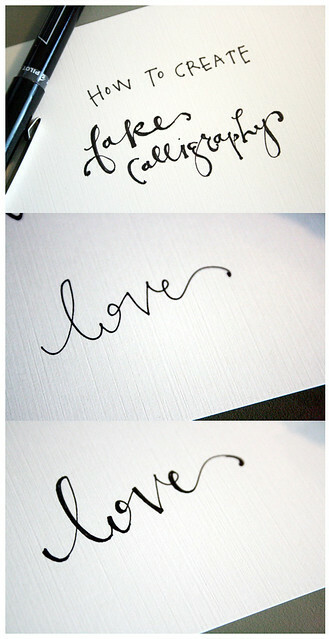 While browsing Pinterest, I stumbled across a pinned tutorial for creating "fake" calligraphy -- how fun! Originally posted by Jones Design Company, this easy tutorial shows you how to turn your cursive handwriting into a work of art without struggling with an inky calligraphy pen. Jones Design Company suggest writing a name, word or phrase with a good fine tip ink pen. Then, figure out where each downstroke appears in the word, and create a thicker line. Voila! This method could prove to be time consuming, so you might choose to use it only on the name line when addressing envelopes, or to highlight certain words within a handwritten letter.